We turned on the Uniregisty’s Affiliate program about 10 days ago, that places a banner on the bottom of parked pages marketing new gTLD’s registrations. New gTLDs: Any Purchase Inquiries Yet? I know the new gTLD domain names haven’t been available for that long, but I am curious if you’ve had any end user buyer inquiries for any of them yet. Although end user inquiries would obviously be more desirable than inquiries from other domain investors, I think any inquiry would be a good sign. 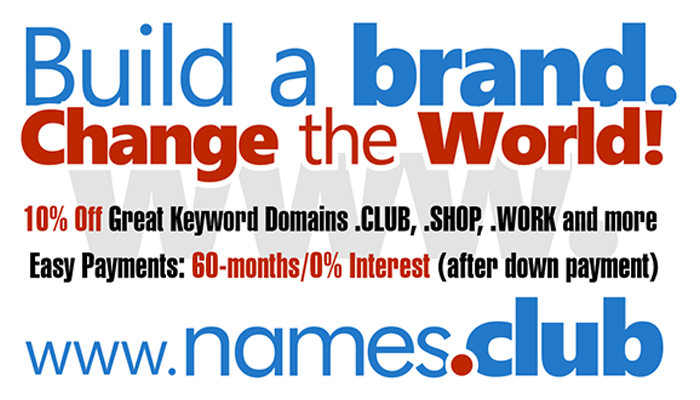 780 new gTLDs are launching with 1&1, get your new domain name now ! You’ll notice some TLDs like .IO and .TATTOO on my list this week, while I typically stay pretty far away from these TLDs when it comes to investing I do think there are some solid premiums that make sense, and I’ve included those in this week’s selections as well. This past week the following 5 Donuts New gTLDs entered general availability with EAP: .international, .coffee, .house, .solar and .florist. 707 new gTLDs are launching with accredited Registrar 1&1, get your new domain name now! Uniregistry’s new gTLD .Gift has over 300 Sunrise applications which is pretty impressive as Johnson & Johnson went in pretty heavy to protect many of their products in an extension not usually associated with “gifts”. 700 new gTLDs are launching with accredited Registrar 1&1, get your new .CEO domain name now! Today is the last day domains listed on DomainNameSales.com will show up for searches on GoDaddy.